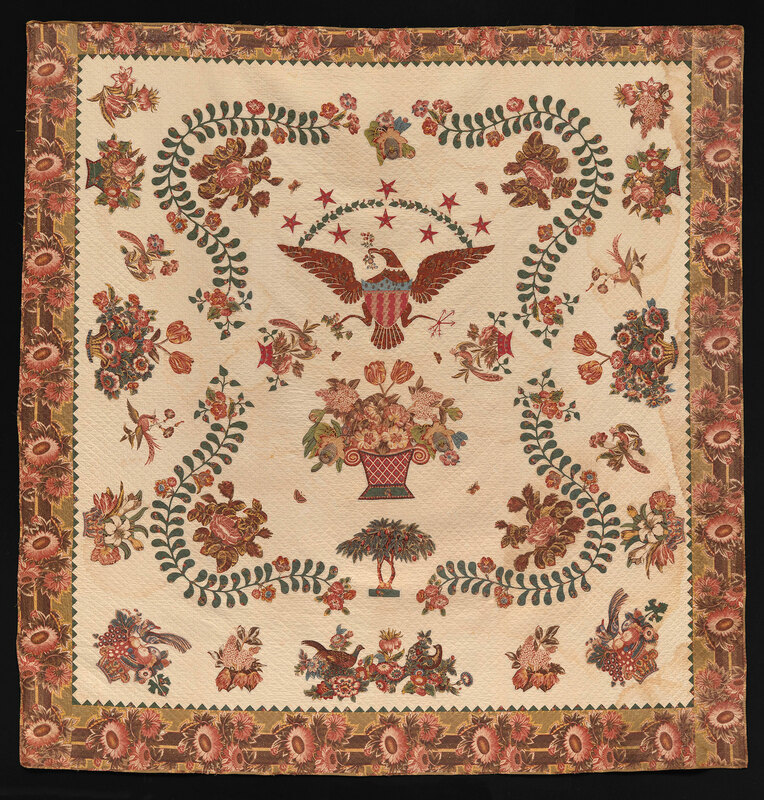 Eagles were a hot design trend in the decorative arts, throughout the United States and not only in quilts, from the early years of the republic through our semicentennial in 1826. 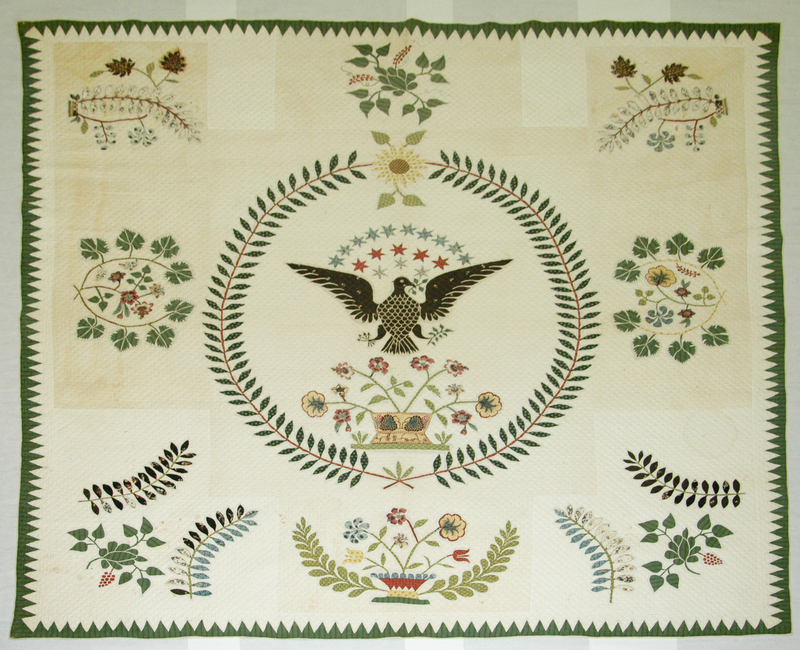 Garnhart made four eagle quilts, probably all before about 1830,and all with her extensive use of reverse appliqué. The sawtooth borders are typical of this region. 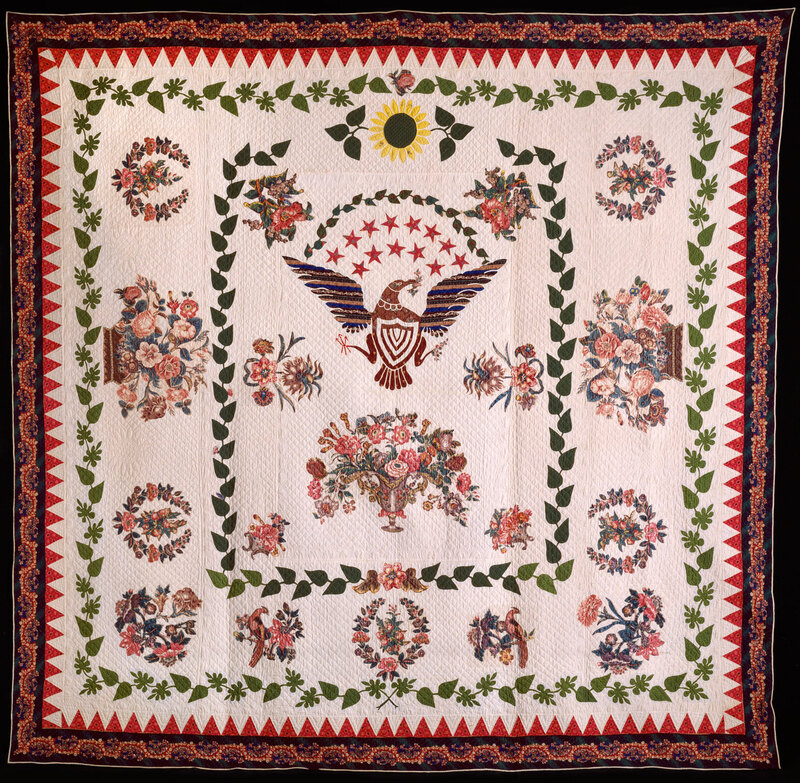 This quilt was made for Catharine’s granddaughter and namesake Anna Catharine Markey, who recorded that she quilted it herself at the time of her 1846 marriage. Block-and roller-printed cottons; cotton filling and backing. Catharine shopped in Baltimore, paying up to a dollar per yard for her chintzes - a lot of money back then. Over fifty small prints appear throughout Garnhart’s quilts, and over twenty large-scale chintzes. Many prints appear in several quilts. About 1821-2, Gift of Homer P. Covey Family, 1966.072.002, Plains Indians & Pioneers Museum, Woodward, Oklahoma. 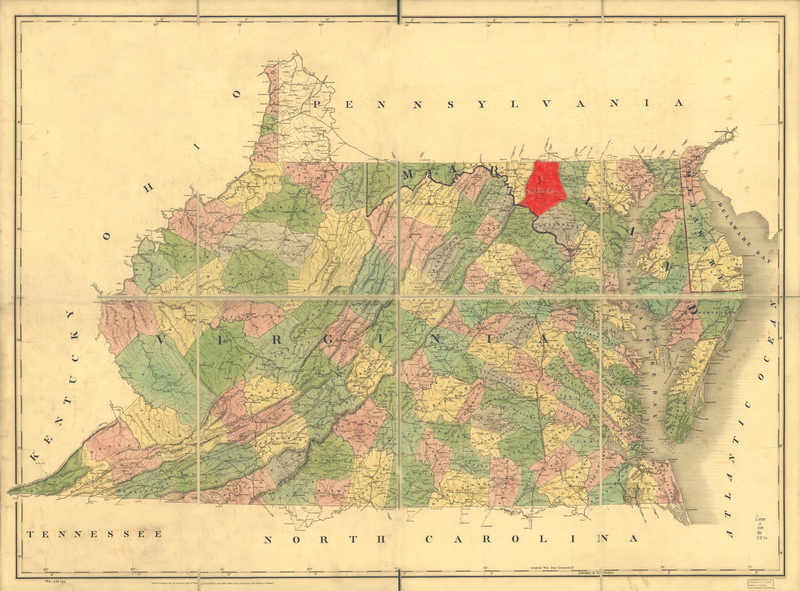 Anna Catharine Hummel (always known as Catharine), granddaughter of German immigrants, lived all her life in Frederick, Maryland (about forty miles northwest of Washington). 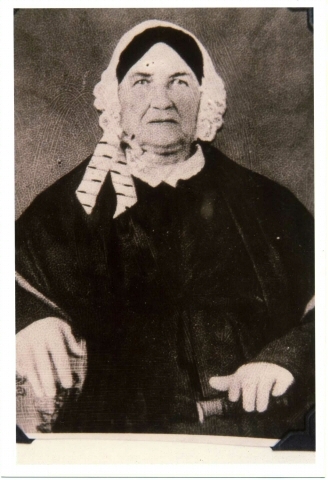 She married David John Markey who died in 1820, and remarried Henry Garnhart who died in 1828. Garnhart made a quilt for each of her eleven grandchildren, children of her sons David John and Frederick Markey. Nine large quilts and three crib size quilts survive today.